That comment prompted laughter to erupt from the back of the bus, which a group of my roughest students had claimed as their own. I had invested every Wednesday night after our weekly meeting with this group for the last year. Each young man came from various backgrounds – each story more heartbreaking than the last. Alcoholism, violence, abandonment and substance abuse were the norms for these students, but the pain was hidden behind their sarcastic bravado. On our way up to camp, I did my best to persuade and convince them that this upcoming week was more than a good time, and had the potential to change their life. They laughed me off and chalked it up to their last hurrah, as most of them had just graduated and were headed off to work and college. The ringleader of the group was the one who my heart broke for the most. He was a star wrestler – athletic, good looking, with extensive martial arts training – a force to be reckoned with. Foul-mouthed, angry, and living one party and one girl to the next, I honestly had no idea why he came to youth group every week. And yet, without fail, he would skip practice to attend. We would talk each week, and he would say things like, “Tim, I won’t lie – I am curious, but unless God shows me an undeniable sign, there is no way I will believe.” So week after week, month after month, we continued to have the same conversation. Summer camp was the last ditch effort for something to happen while he was apart of our youth ministry. Camp didn’t disappoint. The week was full of everything that camp should be; paintball, zip-lining, terrible food, and lots of Jesus. The speaker brought the Word and spoke in truth and love. My guys were starting to break down, and I finally felt like we were getting somewhere. They were asking questions, reading Scripture, and the walls were starting to come down. All was well, until it wasn’t. Everything came crashing down on the last day of camp. We were having a BBQ on a big grassy field. 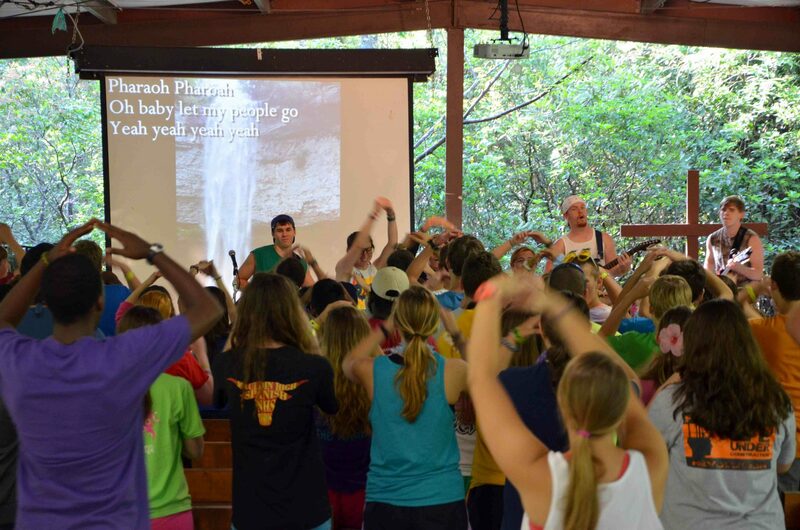 Everyone was mingling, reminiscing on a great week, and trying to stomach camp hot dogs. Out of nowhere, an unmarked white van rushed right by the field. There were people in the back yelling, and then without stopping they rolled out a small boy who was duct-taped and screaming while the van rushed off into the distance. Without hesitation my guys sprang into action, rushing to take pictures of the license plate number and cut the young boy free. As they ran over to start checking him, the boy started laughing at him. Then the van returned, its passengers were laughing too. It had all been a prank. Anger welled up in my boys, and it was all I could do to stop them from throwing down right there. For them, this was real. All of them had grown up in a culture where being jumped and experiencing drive-by’s were a very possible reality. My heart sank. All of that investment ruined by the poor choices of one youth pastor and his church. I rushed over as fast as I could, rallied my boys, and started the, “Part of being a man is walking away” speech. As angry tears spilled out, the boys told of how real that was for them, and questioned why a Christian pastor would do such a thing for a laugh. I wondered the same thing. As I was wrapping up, a boy from a different church who was sitting with us started to have a panic attack. The stress of the past twenty minutes was too much. He grabbed his chest, began to convulse, and before anyone could react, was unconscious. I caught him as he went down, and could hear my boys going ballistic. My star wrestler sprang into action, screaming profanities and running across the ball field to get even, with several of his friends in tow. By the grace of God, he began to recognize me and calmed down. Twenty minutes later we had everything calm, and the rage in me boiled over. I stormed to the youth pastor responsible for the prank, ready to let him know he ruined camp, only to find him sobbing. In an instant I felt the Holy Spirit fill me with forgiveness, and I gave him a huge hug. But I wasn’t ready for what God had planned. That night at chapel, two of the three boys involved from that group were saved. Sobbing, they surrendered to Christ. But, God wasn’t done. That night at the candlelight ceremony, God broke Juan’s heart. Kneeling on the same ball-field where hours earlier He had screamed profanities and kamikaze-rushed a counselor, he accepted Jesus as his savior. What lack of faith on my end, that I thought camp was unredeemable! Student ministry is messy, ugly, and sometimes you will find yourself stopping a highly-trained fighter at summer camp. But it is the single most transformative thing you can do, and you will get a front row seat to watch the Lord break the hardest of hearts!